Boone North Carolina is a hub of unique shops, restaurants, and attractions, and home to many content residents. Families and individuals alike continue to relocate here for countless reasons, and visitors come from near and far to enjoy just a taste of life in Boone. The area is frequently putting new properties and neighborhoods on the map, and the housing market is constantly thriving. Homes for sale aren’t just available, they’re affordable, too. Nestled within the Blue Ridge Mountains, Boone has and always will be a desirable place to call home. For one, its natural beauty and abundance of outdoor recreational activities are enough for many to settle down. Another proponent is Boone’s prominent school, Appalachian State University, where students learn to love this temporary home and then realize they don’t want to leave. The list goes on; it’s very possible that every resident could offer a different explanation as to why they picked Boone. Even when the real estate market grows, that doesn’t mean the region’s natural charm and resources are diminishing. 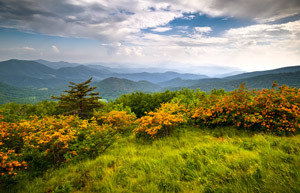 Boone and neighboring towns are environmentally conscience and respect the very notable element that makes Boone such a great mountain destination. How can there continue to be hiking, fishing, and skiing if there are residences everywhere? Who could enjoy the mountain views if houses infiltrated every peak and valley? 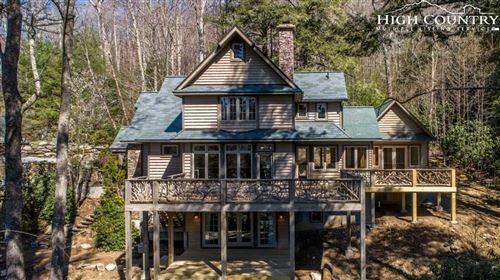 Whether you are looking for a starter home, a forever home, or a mountain house to retreat to seasonally, you’ll find it within our listings. The Mountain Group at Premier Sotheby’s International Realty specializes in the very attractive market of Boone properties for sale. To discover more about living in this town and all that it offers, browse our site or contact us to discuss. We love to live, work, and play here, and we’re sure you will, too.